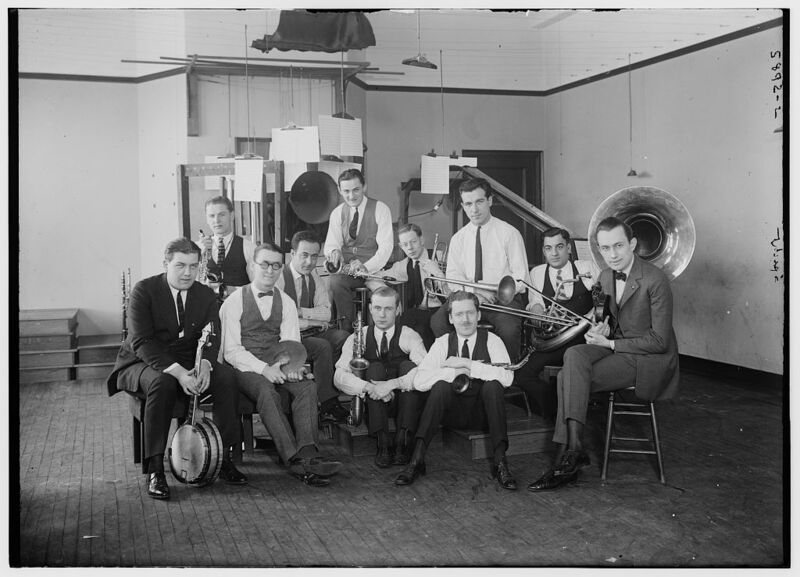 The Benson Orchestra seems to lack the “plenty rhythm” that the composer deemed crucial for jazz. 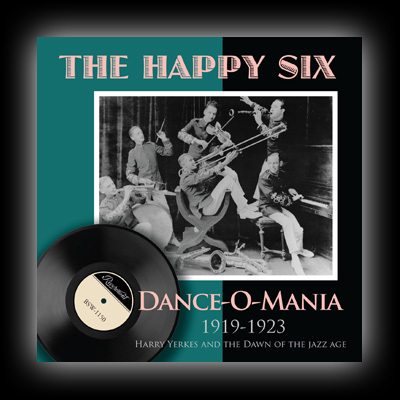 Instead, it has its own firm, broadly stepping two-beat rhythm, with clipped syncopations and a bright, violin-infused sound that looks back to ragtime (but not as far back then as now). The Benson Orchestra rags a bit, promenades more and to some ears might also do some marching. They don’t do much stomping, and definitely do not swing. The Benson Orchestra is less visceral and more vertical than any of its recorded predecessors. Pianist/leader Don Bestor’s piano filigree and the trumpeter’s blue note counterpoint during the final chorus do have their own antique charm, but the Benson recording just doesn’t have the same energy and variety of the NORK’s improvised polyphony or Morton’s occasionally Latinized piano. Other musicians were obviously giving “Wolverine Blues” their own distinct treatment before the Benson’s record, treatments that jell much better with contemporary expectations of the tune. 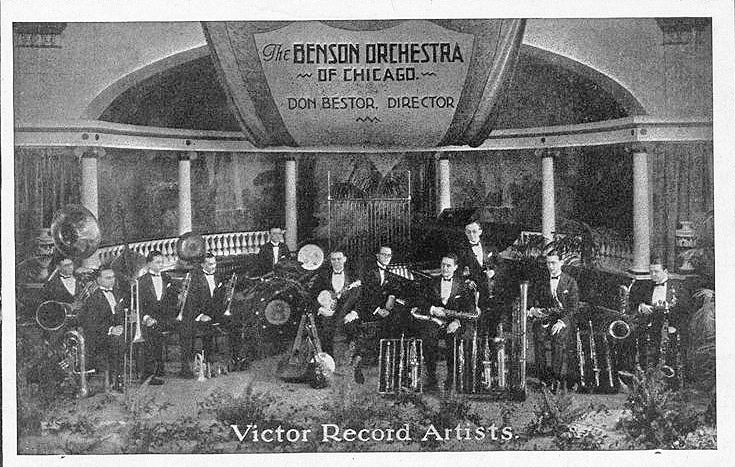 The Benson Orchestra’s approach is less a historical template than an example of one band’s style. 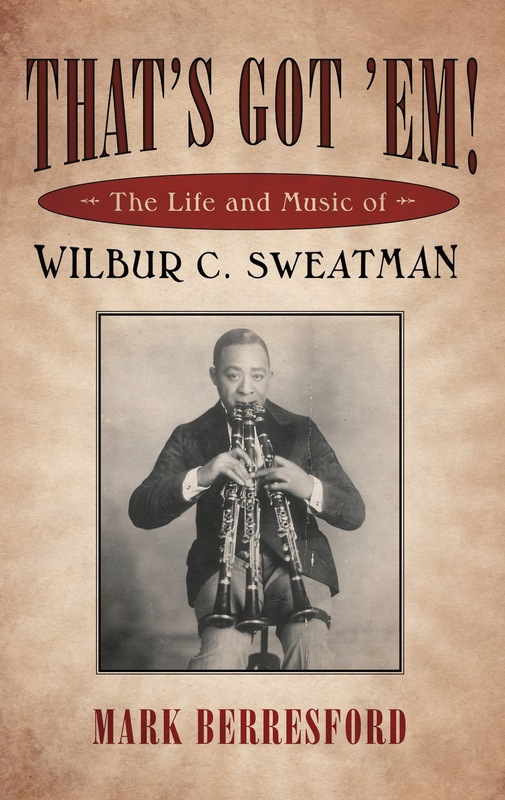 It is tempting to dismiss the Benson style as stiff and outdated (and to some, stereotypically “white,” even if both African American and European American musicians were already playing the tune in equally distinct, differently bombastic ways). Yet it is a style, one unlike any other on record at that time, or since: no modern band would ever think to play Morton’s warhorse like the Benson Orchestra does, except in outright imitation or parody. The sound of the Benson Orchestra on “Wolverine Blues” remains so refreshingly archaic, so far removed from even a vestigial hint at what is “current” that it’s both very personal and oddly subversive. In its contemporary context, the Benson Orchestra’s outdatedness might even seem ballsy. It may not suit everyone, but it’ll never be wrong. Assuming that Morton and his jazz brethren’s ultimate mission was to encourage individuality in music, then the Benson Orchestra fulfills that legacy in spirit, if not style or (far more slippery) taste. 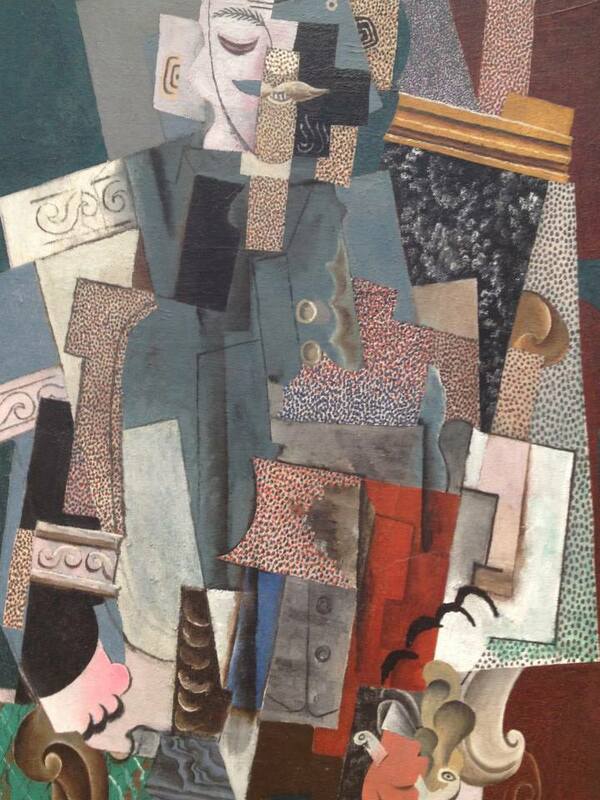 Picasso, Man With A Pipe (1915), Art Institute of Chicago.